How Recipe Sites Can Gain Traffic Using Rich Snippets and Recipe Views? One of the most popular niches that exists on the web is related to food and recipes. People love to search recipes using Google and this is the reason the big G has included a special tab of "recipe views" in order to specifically cater to the demands of users searching only recipes. Preparation Time - An estimated time of preparation. Calorie - Information related to calories. Reviews and Ratings - Ratings and reviews as given by the people. Instructions- Full instructions for preparing the recipe. Yield- The average yield of the recipe. Author- The author information related to the recipe. A web page having so much information specially related to the searched user query surely receives a boost in rankings as it automatically becomes relevant and user friendly. 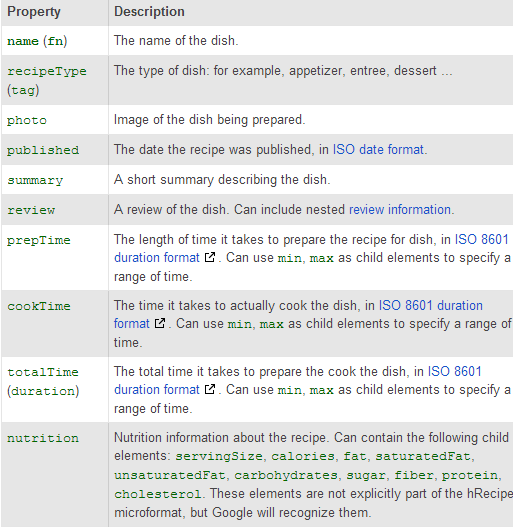 Here is a quick video which explains the use of recipe rich snippets. Here is the detailed information about the recipe mark-ups you may use. Recipe views allows you to view recipe only search results. You can select recipes in the left hand panel of the search result page and switch to recipe views.